Dinner can be ready in only 3/4 hour total! Remove seeds and stem from sweet peppers and cut into thin strips. (Strips may be left long of cut in 1 inch pieces.) Peel onion and cut into thin strips about one inch long. Carefully remove seeds and stems from the jalapeno pepper and mince flesh. Heat butter and olive oil together in a large non-stick skillet. Saute onion and sweet peppers on medium heat until tender but still crisp, about 4-5 minutes. 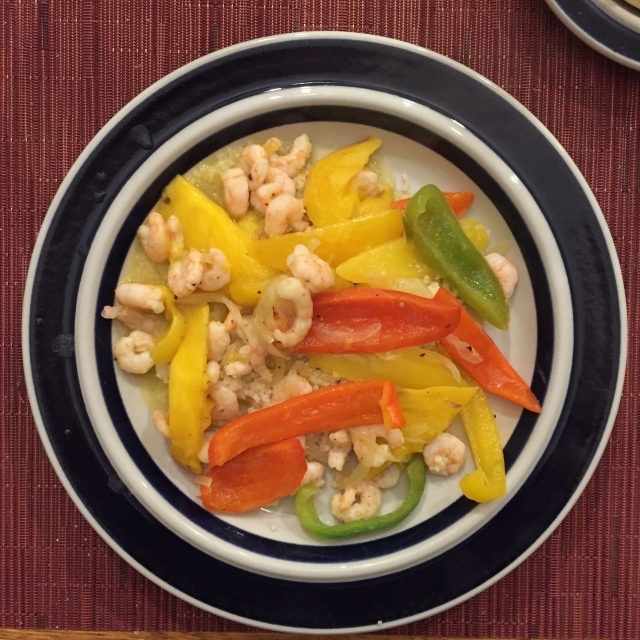 Continue cooking and add mango slices, California Pink Shrimp, mango juice, lime juice and chiles. Toss gently until shrimp and mango slices are heated. Serve with cooked couscous or rice.